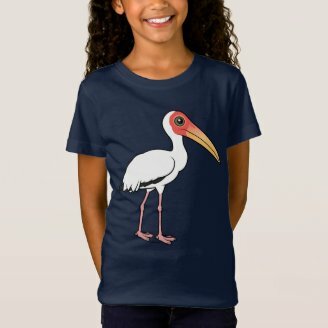 Today's new Bonanza bird is a species of stork found in parts of Asia: the Painted Stork! 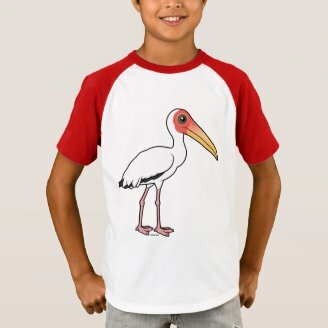 Painted Storks live in wetlands across most of India, as well as coastal areas around parts of southeast Asia. 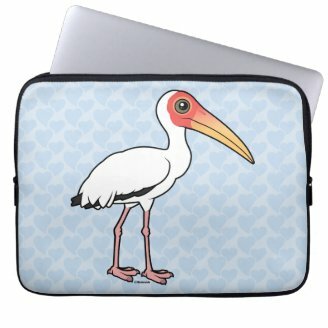 Painted Storks remain on their territory all year and don't migrate seasonally. 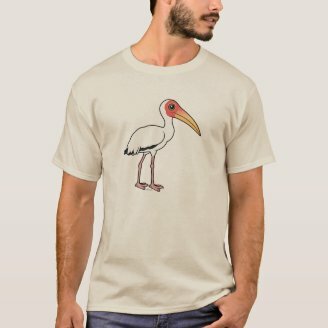 Painted Storks are named for their plumage. 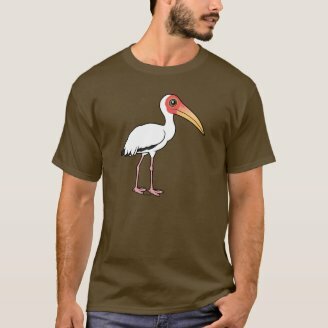 Specifically, the pink tipped wing feathers (tertials) that hang over their backs and rumps gives them the name Painted Stork. These pretty birds can also be recognized by their heavy yellow beaks that curve downwards. Painted Storks feed on small fish. They hunt by sweeping their partially opened beaks through shallow water; prey is detected by touch. Tomorrow's new bird is native to parts of South America but is established in Hawaii, Puerto Rico, and elsewhere in the world. Can you guess the species? For 19 days we're adding a new Birdorable bird every day as part of our Birdorable Bonanza 2011. We're counting up to revealing our 350th species! Today's bird is the Shoebill. 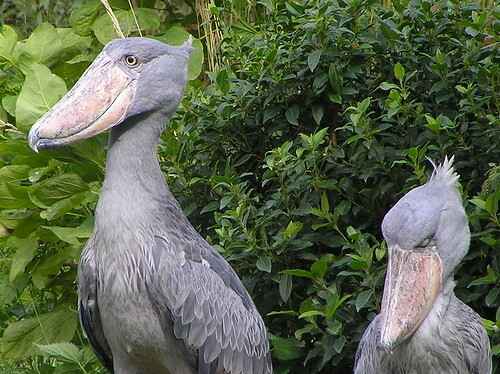 The Shoebill is a remarkable-looking bird with an amazingly huge shoe-shaped bill. These large birds measure up to 59 inches (150 cm) tall and their bills average 12 inches (30 cm) in length, giving it the largest bill of all bird species! The edges of this large bill are very sharp, allowing the Shoebill to cut up its food before swallowing it. They feed mainly on aquatic animals like baby crocodiles and fish. Shoebills live in parts of east Africa, with most individuals living in the Sudan, and are considered vulnerable, mainly due to habitat loss. Tomorrow's bird is the largest 'true bird of prey' in the world. It breeds in high mountains and large forests across southern Europe and Asia. Can you guess what it will be?